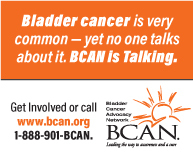 Bladder Cancer operates a rigorous, timely, blinded peer review process (with an option for double-blind if requested) by experts in the field. Manuscripts submitted to Bladder Cancer will be assessed for suitability for publication in the journal by the Editors-in-Chief. Manuscripts that are deemed unsuitable may be rejected without peer review by the Editors-in-Chief and/or the Associate Editors and the author will be informed as soon as possible. Manuscripts that are deemed suitable for peer review are forwarded to an Associate Editor with expertise in that area who then recruits appropriate referees (a minimum of two, and usually three or more) for confidential review (identity of referees not revealed to authors). Referee reports are then assessed by the Associate Editor, who makes a decision which is then subject to approval of the Editors-in-Chief. Once approved this decision is then conveyed to the author along with the referee’s reports, but not revealing the identity of the referees. The initial decision will be one of the following: rejection, acceptance without revision, or potentially acceptable after minor or major revisions. Revised manuscripts will then be appraised by the Associate Editor, who may seek the opinion of referees (prior or new) before making a decision, which again is subject to approval of the Editors-in-Chief. Once approved this decision is then conveyed to the author along with the referee’s reports. Once accepted manuscripts are normally published on-line without delay (with the date of publication indicated) and appear in the next available print issue (published quarterly). The Editors-in-Chief have ultimate responsibility for what is published in the journal. Authors may appeal decisions by contacting the Editors-in-Chief (at blc@iospress.com). Authors will be informed in writing of the result of their appeal.